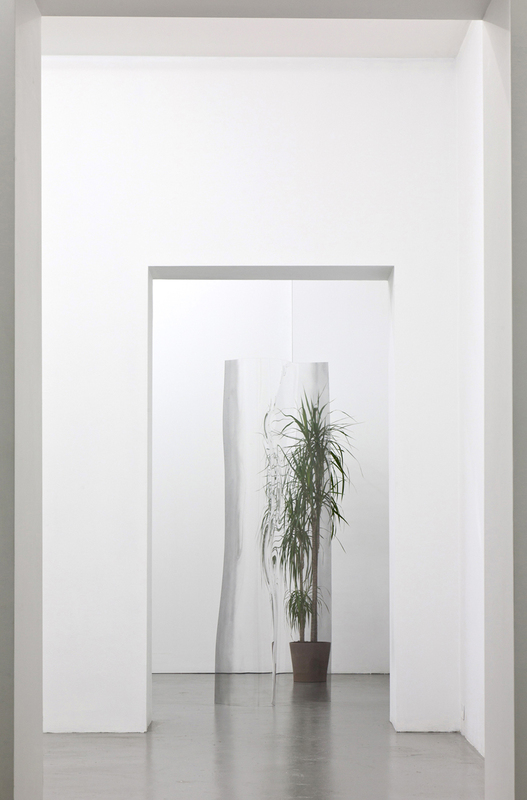 The revisitation of an industrial process is behind the new project by Pennacchio Argentato, collective founded in Naples in 2001. 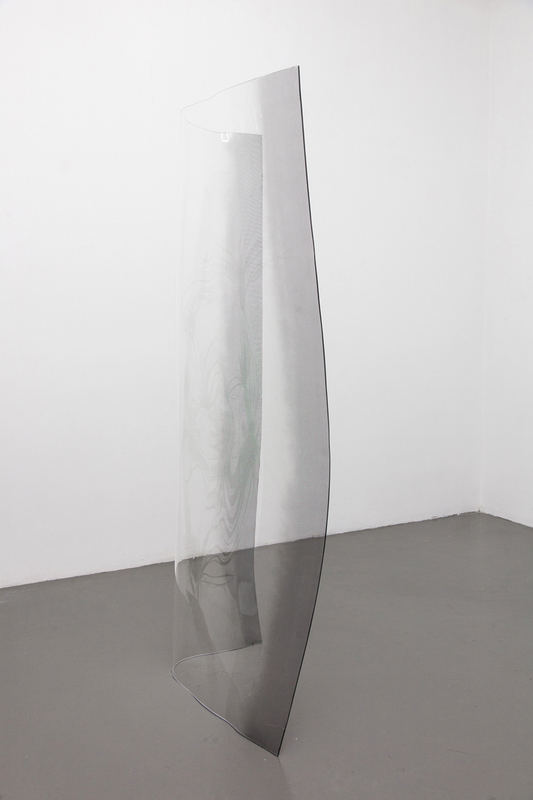 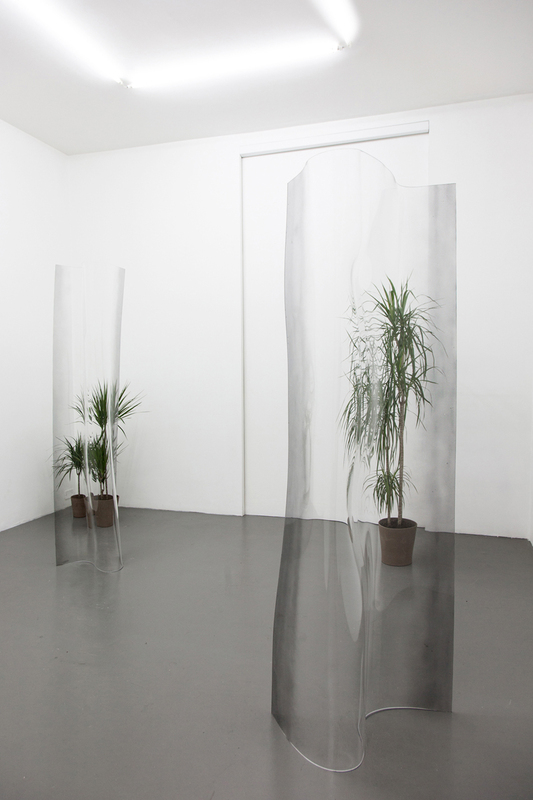 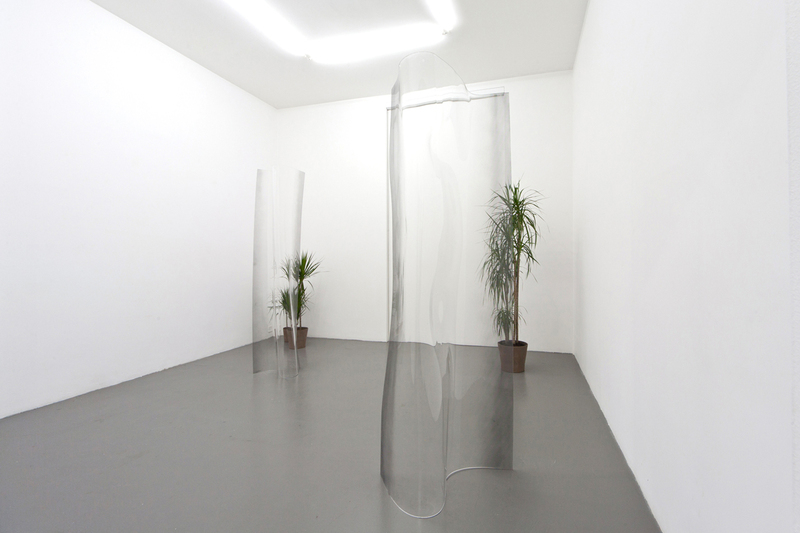 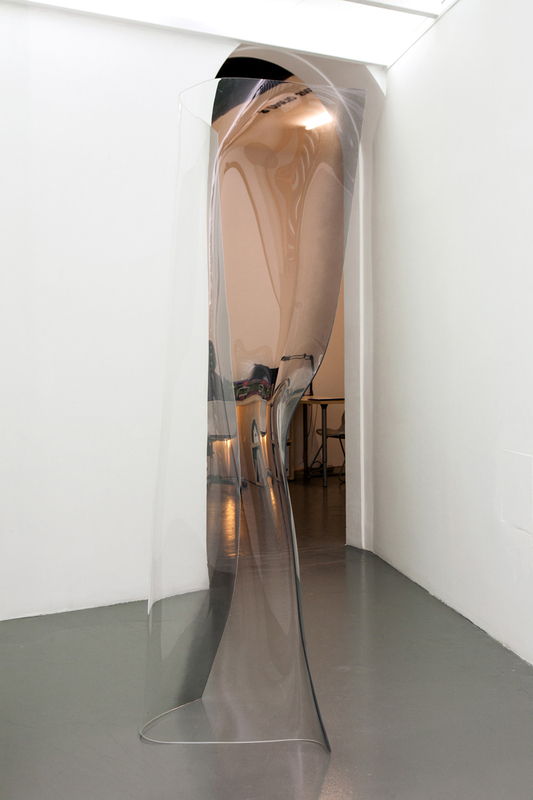 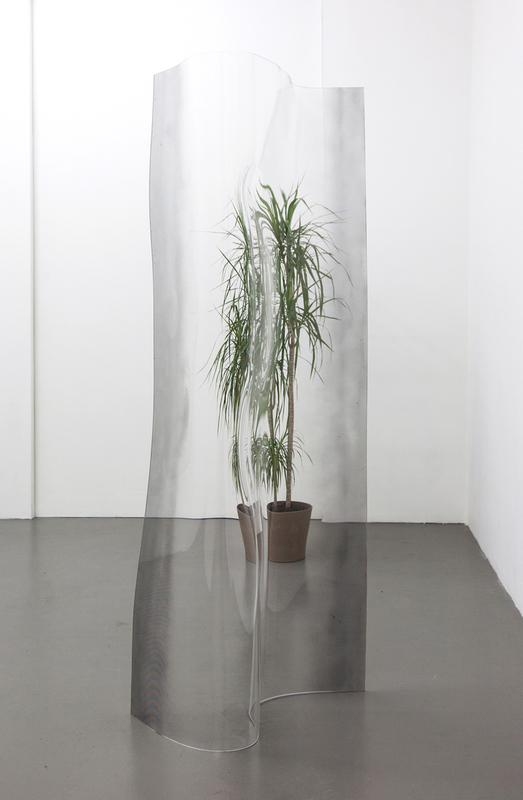 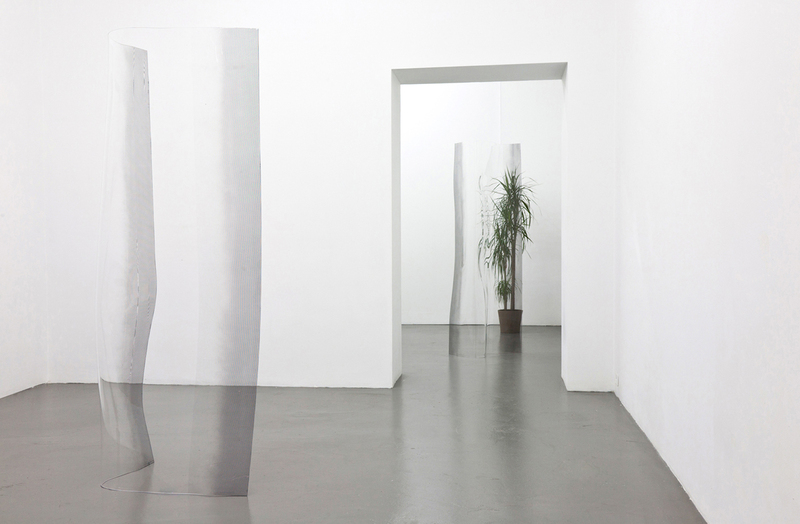 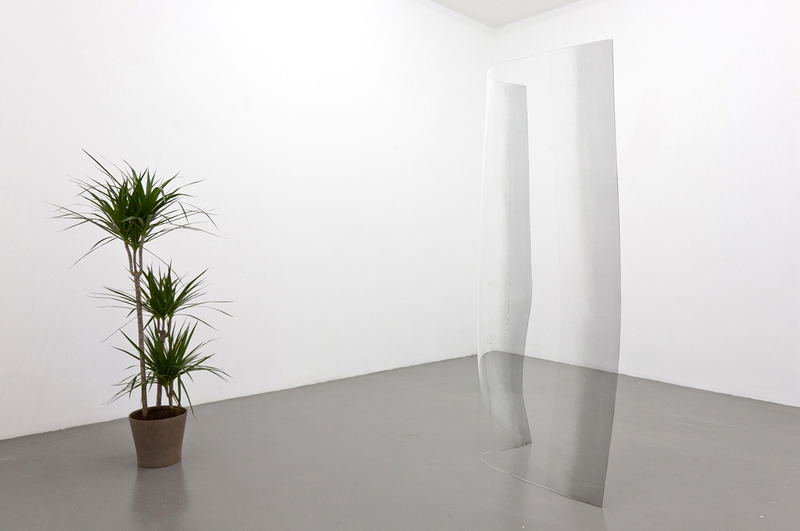 A series of sculptures in transparent methacrylate, realized through the termoforming technique, are presented as empty, free-standing and life-size cases. 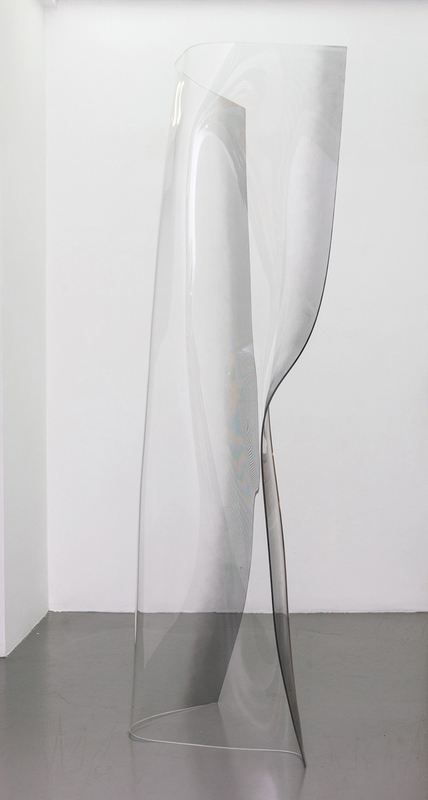 This process, consisting in the heating of plastic sheets in industrial furnaces, is adopted to obtain molds for everyday use objects, such as glasses, containers, lids, trays, cases and other products. 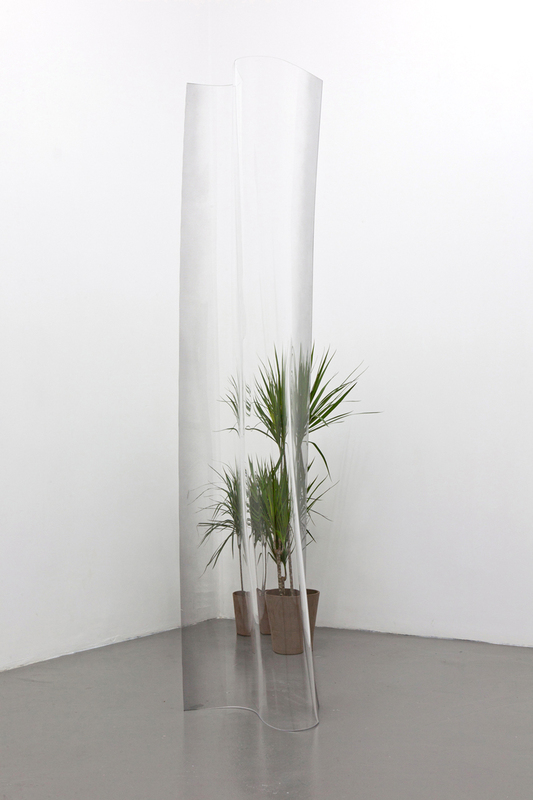 However the surfaces of the sculptures present distortions that cancel the reassuring feature of the packaging given by the guarantee of protection of the product, making instead rather unstable and distorted the vision of the surrounding space. 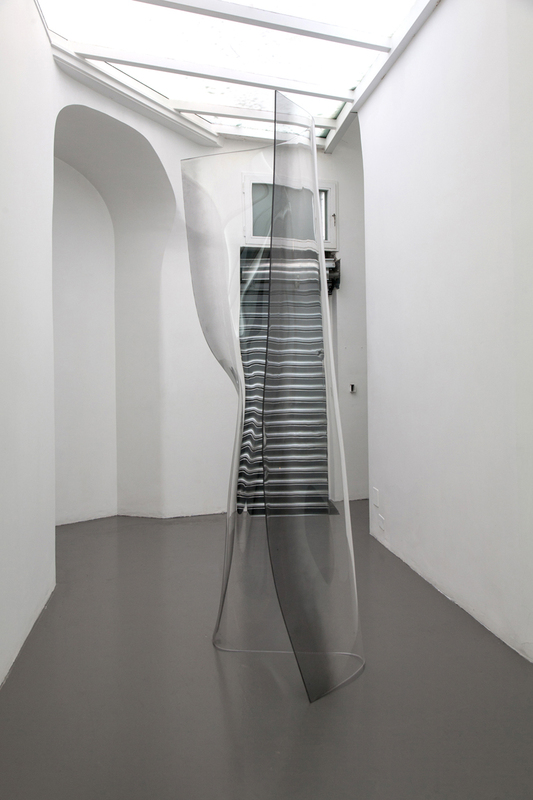 The multiplicity of visual levels is amplified by a series of sculptures presented in the form of photographic images in real size and transferred onto the gallery walls. 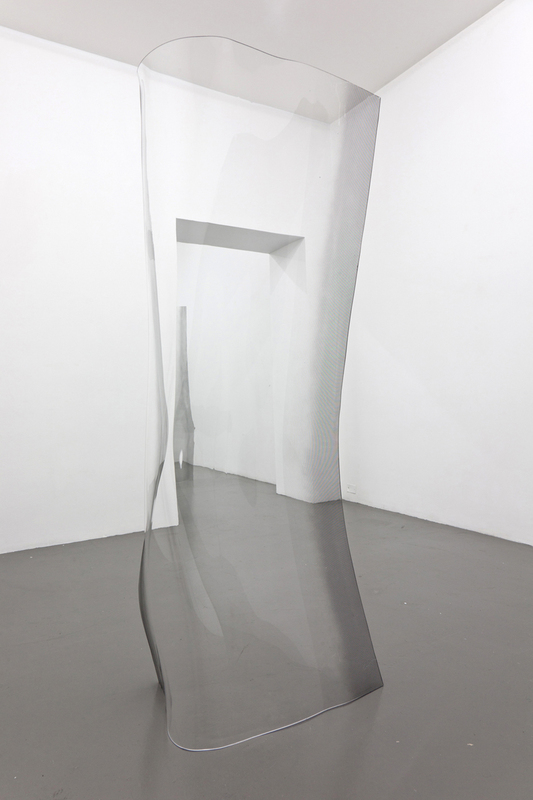 Functioning as a kind of “optical lens” that ruptures the space and the objects that surround it, this works open small perceptive fractures in the fabric of reality enriching our relationship with it.